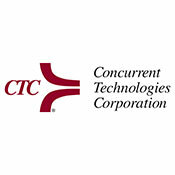 Concurrent Technologies Corporation (CTC) is a nonprofit, applied scientific research and development institution specializing in the creation and implementation of advanced manufacturing technologies. CTC offers in-depth experience and a wide range of technical capabilities, including additive manufacturing, engineering solutions for maintenance and sustainment, corrosion services, secure coatings design, custom fabrication solutions, prototype tool development, data management and analysis, readiness and continuity of operations, and technology-based education and training solutions. Their technical experts provide strategic advisory services across all areas of expertise to help clients achieve their goals. Together with its for-profit affiliate, Enterprise Ventures Corporation (EVC), it provides client-focused custom solutions from research and development through the transition to full production.